Boston Estate - Service Provider of unitech crest view, unitech exquisite residential flats & sunbreeze real estate services in Gurgaon, Haryana. Size : 968 Sq. ft. - 1826 Sq. ft. Size : 6664 - 10869 Sq. ft. Size : 1975 - 2704 sq.ft. 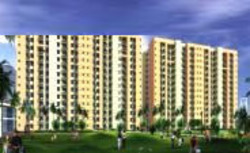 Size : 2350 Sq. Ft. Size : 2807 - 5373 Sq.ft. Size : 2477 - 4294 Sqft. Boston Estate undertake original booking for Group Housing Projects, Residential Flats, Apartments, Villas, Commercial complexes, Farm-houses and Plots. The company is an authorized marketing associate for all the major real estate developers. Boston Estate continuously strives for improvement across all areas of its expertise, and is in constant search for new and better ways of helping clients achieve their property goals.